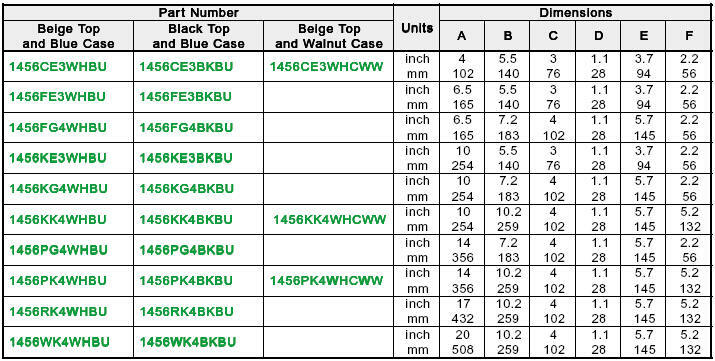 • Aluminum cases 0.081” (2 mm) thick aluminum. 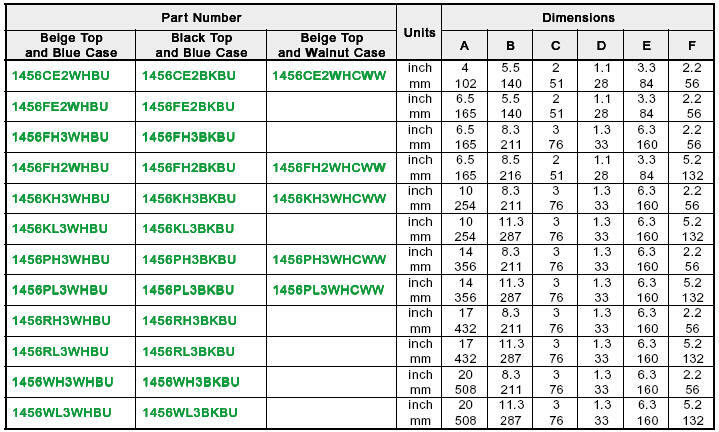 • Aluminum top panel sizes to 14” wide are 0.064” thick aluminum. Larger sizes are 0.081” thick. • Sold pre-assembled with a textured blue case and a choice of an contempra grey (beige) or a black top panel. • Comes with self adhesive rubber feet and required mounting hardware. • Solid oiled walnut sides on a black, ventilated steel base with contempra grey (beige) aluminum top panel.